Up-and-coming Parisian seamstress Frances is given the opportunity of a lifetime when a patron hires her to make her unique designs full time. 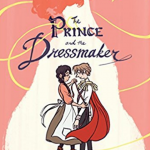 When the patron turns out to be the young and eligible Belgian prince Sebastian, who wears the gowns under the secret identity of Lady Crystallia, the two begin a collaboration that takes the Paris fashion scene by storm. That is, so long as Frances is willing to also keep her identity a secret to protect her new friend. Wang’s illustrations flow across the pages creating movement for each fashion design, while small gestures highlight the budding relationship between Frances and Sebastian. As Lady Crystallia struts her latest styles, readers will appreciate the journey of this gender non-conforming main character. Wang has created a strong tale about friendship, self-discovery, and acceptance. Share this title with aspiring fashion designers and bingers of RuPaul’s Drag Race. 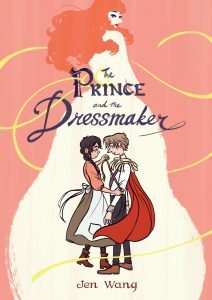 Teens who enjoyed the fairy tale twists of Witch Boy, Ladycastle, and Princess Princess Ever After will appreciate this tale as well. 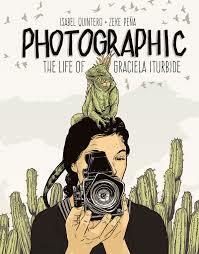 The life and work of Mexican photographer Graciela Iturbide is explored in this new graphic biography by Quintero (Gabi: A Girl in Pieces) and Peña (cover artist for Gabi). Moving more thematically than chronologically, the book focuses on key moments for the artist including receiving her first camera and training with other photographers. The book also explores the stories behind photographs from Juchitán, the Sonora Desert, East L.A., India, and Frida Kahlo’s bathroom. Many of Iturbide’s photographs focus on the mythology and reality of people, landscapes, forms, and objects. Quintero’s text articulates these experiences. Peña’s pen and ink illustrations meticulously recreate the world as Iturbide sees it–in black and white. When Iturbide’s actual photos are interwoven into the biography, they are simultaneously seamless and surprising. Quintero’s lyric prose is just as mesmerizing. Together this mix of artforms combine to create a unique and spellbinding artist statement. References provided at the end of the book help readers who want to learn more about Iturbide. Share this book with teens interested in photography, indigenous communities, Mexican and Southwestern experiences, or any fine art. 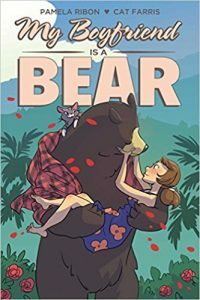 This is the story of Nora who, after a succession of terrible boyfriends, finds a much happier relationship with a 500-pound American black bear. Will this relationship be a success–how will she survive hibernation–who would have thought a rom com about a girl and a bear could have so much pathos?! 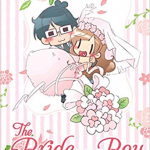 Right off the bat this story grabs you with its sense of humor and wit, but there is also the deeper narrative of feeling like you never quite know where you fit, and still searching for what makes a good relationship. Whether it’s between humans or animals is beside the point. 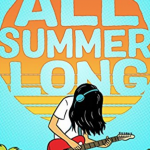 Although this story is on the mature side, this book will fill the niche of older teens wanting something edgier, and trying on the role of adulthood. 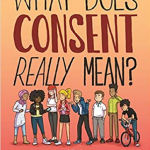 Teens will definitely enjoy the friendships, relationships, (human to human and human to bear) and humor throughout the book. The drawings are fun and playful and add a lighthearted touch to the book, giving it real teen appeal. 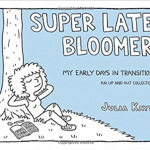 Give this book to fans of New Girl, Adulthood is a Myth, Slam!, and Rick and Morty… also anyone with a quirky sense of humor!